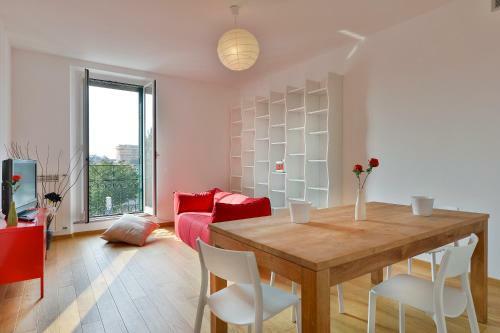 Situated 3.6 km from Villa Necchi Campiglio in Milan, this air-conditioned apartment features free WiFi and a balcony. The unit is 3.9 km from Milan Fashion District. The unit is fitted with a kitchen. A TV is available. Brera is 4.